World Scholar’s Cup is an international academic team program with students participating in over 82 countries. 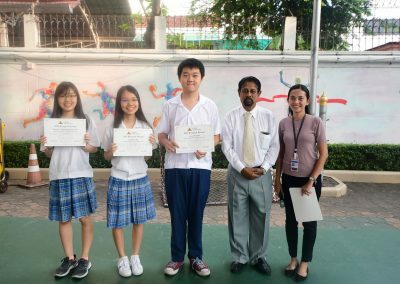 Students from different parts of the globe compete various academic challenges namely: Scholar’s Bowl, Scholar’s Challenge, Collaborative Writing and Team Debate to promote global community of future scholars and leaders. It focuses on bringing students from different cultures together to discuss issues and ideas relevant to today. 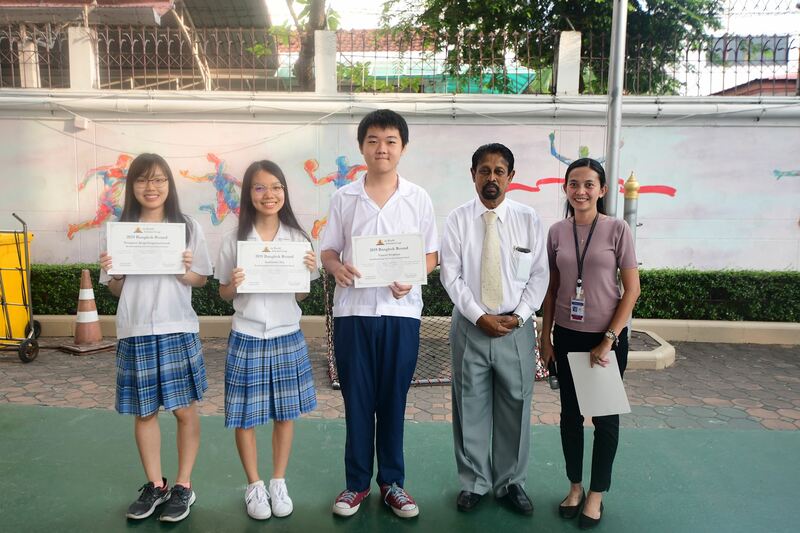 Last March 24th and 25th, three of our Grade 11 students participated in the Regional Round that was held at Brighton College. They participated well and took home 9 medals: 5 gold and 4 silver. It’s with much pride that all of them were able to qualify to compete for the annual Global Round in the following six cities namely Beijing, Astana, The Hague, Sydney, Manila and Durban.